The integration of the 'Lost Chapters' expansion to the original game is a plus as there was a lot of great content included in that expansion. Rather than stop there, however, Lionhead has made the decision to add, via dlc, brand new content to what, at its core, is a ten year old experience. As great as the other enhancements made to the game for this remake are, it's this that I find to be the most exciting, and this is coming from someone who purchases very little dlc as a rule. The mind reels at the possibilities for expansion via dlc, especially being such a huge fan of the first game. New enemies, bosses, expanded environments, new quests and plot lines, combat enhancements, new magical abilities; they are limited only by budget and imagination so I hope they really go for it (and keep the pricing fair). Who knows.....perhaps they could even add a co-operative component to the game via dlc. One can dream, right? Smartglass is being integrated into the experience, adding the ability to view a map, compare the graphics of any area you are in to those of the original game, take screenshots of any on screen action and attain information pertaining to chest locations, demon doors, etc as well as other general tips and secrets (this aspect of the Smartglass integration is optional so don't worry about unwanted spoilers ruining your experience). Not enough to sell the game on its own, I imagine, but a bonus nonetheless. 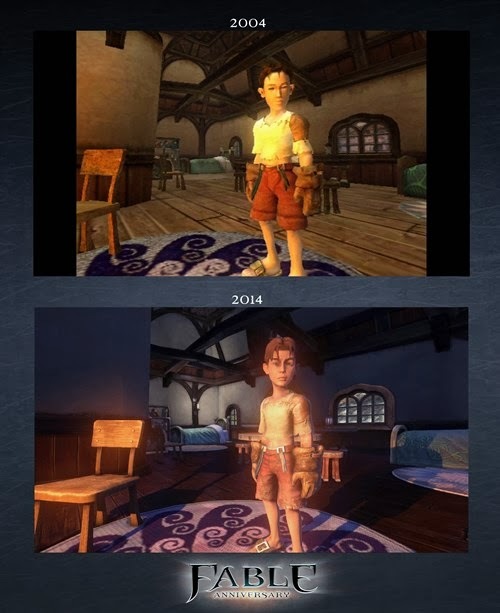 The control scheme for Fable 1 may now seem archaic to some, and so, in recognizing this, Lionhead has added the control scheme from Fable 2 and 3 so that the game can be played in a more comfortable, modern way. In addition to this, the original save system, as some of you may recall, was split into so called Hero saves and World saves, something that a subset of the people who played the original game found cumbersome and less than intuitive. Well, Lionhead was listening because there is now a single save and it can be employed manually at any point in the game. The last bit of convenience worth mentioning is the updated user interface, which now features a simplified/more intuitive menu system and more information and user control when it comes to things like inventory and attaining/equipping/reading about items found in chests around the world of Albion. 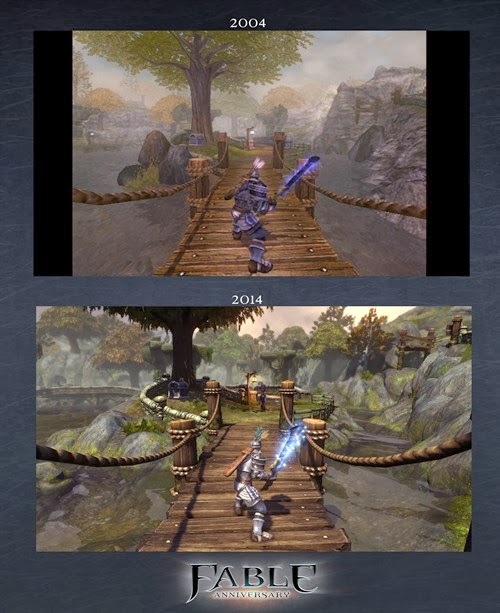 These changes should all combine to make Fable Anniversary fit in with the modern crop of games, eschewing the perhaps more antiquated quirks of the original. Achievements, an Xbox 360 staple, are of course a part of Fable Anniversary, including some with optional paths to completion, the less arduous of them carrying negative in game consequences such as being taunted by townsfolk or being given unflattering nicknames. 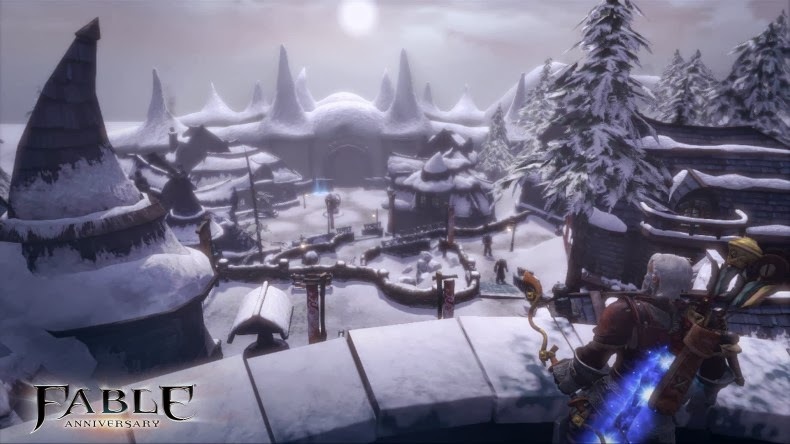 This addition of choice and consequences is a first for the Xbox 360 achievement system and it should serve to add an interesting dynamic to the game as well as fitting right in with the overarching themes of the original Fable, of which choice and consequences were a central component. If you like what you have read, don't forget that Fable Anniversary will be available for purchase this Tuesday, February 4th for $39. 99. Perhaps one day I'll even see you online in a co-operative romp through the now re-imagined, more functional and prettier world of Albion.